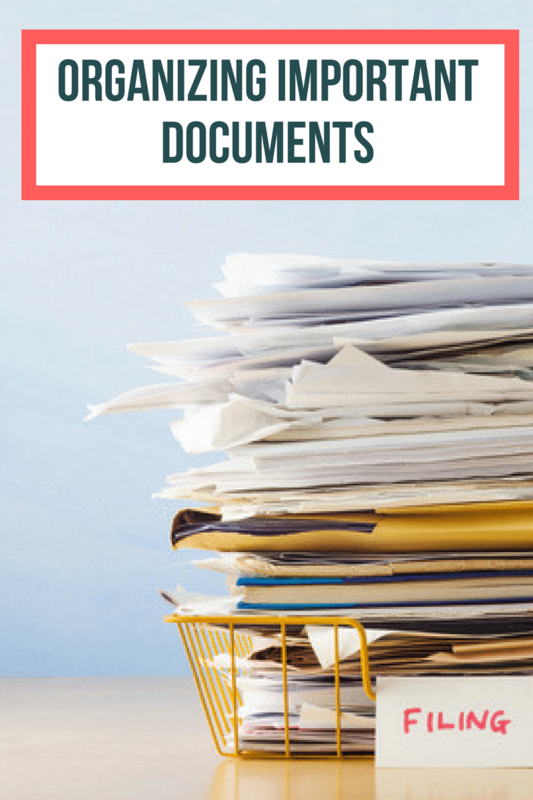 Spend some time organizing important documents all in one place so that if anything happens, you or your loved ones can get the information they need. Well, if you’re ready for a little bit of basic adulting advice, take some time to get organized. This guide can help you collect your important documents into one place, keep them up-to-date, and ensure that if anything happens, you or your loved ones can get the information they need. Your first step is to get a container that will hold on to these important documents. You might want to get an actual set of files. Or, if you’re just starting out, you can get a box with hangable files, or simply a compact file folder. In any case, it’s helpful to use something that will allow you to divide things into categories, and be able to find the most important things at a glance. If your important documents are sensitive, you might want to think about putting them somewhere more secure, perhaps even with a key. However, if you decide to go this route, make sure that your loved ones know where to get the key in case they need access and you’re unable to tell them. Some individuals even put their special documents into a safe amidst other valuables, or another fire-proof space to make sure that even if nothing else is left, they still have legal documents at hand. Certain paperwork should always be kept safe and secure. You might want to put these items in a separate space from the more temporary document storage. In any case, this is the most important section to have saved and close to hand. 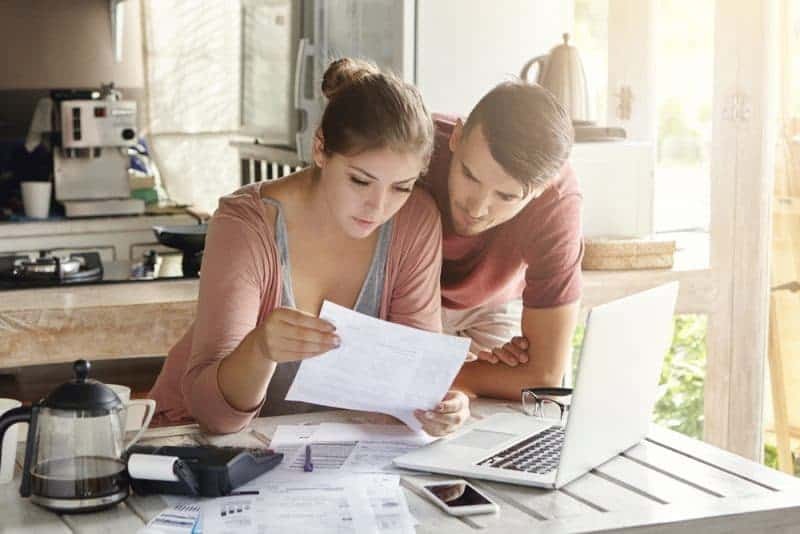 These documents are important when applying for loans and accounts, verifying ownership, and often, they’re federal documents or legal papers that you’ll have to specially apply for in order to get copies. Then there are many items that you should hold on to, but you don’t need to worry about keeping them around for as long. For example, you should hold on to invoices or receipts for any major work that you’ve had done to your house. You should store medical bills and documents for at least a year after paying them off, just in case there are any disputes. You should also hold on to bank statements and tax forms for about 7 years. It can also be useful to have a place for warranty and maintenance documents for large appliances that you own. Other things should be kept for only about six months, including utility bills, receipts for large purchases, and ATM receipts. Many of us are going more and more paperless. Bank statements and other important account information is commonly sent via email instead of paper mail. However, it’s important that you still are mindful of security for online information, and that you are still conscientious about backing up your own important documents. If you file your taxes yourself online, you’ll get a copy of the forms for your own records. You can print this out to keep with your own records, or save them in a special file on your computer. However, it is important to remember that files on your computer can be at risk. Your computer could completely crash to the extent that you never recover certain files. Or, you may get hacked and have others access your important information. So, if you’re relying on digital files for your record-keeping, back everything up and put up some security. Some people like to have a backup external hard drive for these kinds of things. The next question that comes up is regarding disposal. 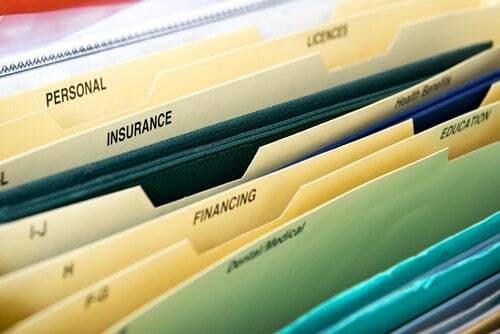 If you have all of these papers that you don’t need to keep, what’s the safest way to get rid of them, preventing the danger of identity theft? The rule of thumb is that you should shred anything that has your social security number, or account number on it. This will include statements from your bank, certain bills, insurance policies, and even unsolicited credit card applications. Great tips! I really need to get myself better organized. I have a filing cabinet, but sometimes I still just stack the papers. Ugh. I need to do this. We are so unorganized!